Contact information for regional faculty members is located on the main College Directory. Marc P. Johnston-Guerrero is assistant professor in the Higher Education and Student Affairs program of the Department of Education Studies. He also is affiliated faculty with the Asian American Studies program. He completed his PhD in Education (with an emphasis in Higher Education & Organizational Change) at University of California-Los Angeles with a dissertation entitled, “What’s the Use of Race? Investigating the Concept of Race in Higher Education.” While at UCLA, he did research with Dr. Jane Pizzolato on the roles of culture and context on college students’ self-authorship development, and did assessment and evaluation work as a graduate student researcher for UCLA’s Office of Residential Life. He also was selected as a graduate fellow in UCLA’s Institute for Society and Genetics, which integrated his background in human biology (BS, Michigan State University) with student affairs administration (MA, Michigan State University). Johnston-Guerrero’s research interests center on unpacking the many meanings of “diversity” in higher education, with specific attention to divergent contextual influences on understandings of race and mixed race, toward new approaches for addressing racial dynamics on campus. He has given more than 40 presentations on best practices and research findings at conferences around the country and has co-authored articles and chapters focusing on issues affecting multiracial and Filipina/o American students, as well as cultural and contextual influences on self-authorship development. 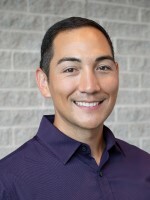 Johnston-Guerrero is active in several higher education associations, recently completing his three-year terms as co-chair for ACPA’s Multiracial Network (MRN) and is currently an editorial board member for ACPA’s Journal of College Student Development. Johnston, M. P., Garcia, G. A., Herrera, F. A., & Garibay, J. C. (2014, November). Examining the influences of college environments and experiences on student attitudes towards prohibiting racist/sexist speech. Paper presented at the Association for the Study of Higher Education Annual Conference, Washington, DC. Johnston, M. P., & Pecero, V. (2014, November). Disentangling race and culture in familial influences on mixed heritage college students' identities. Paper presented at the Council for Ethnic Participation Preconference Forum, Association for the Study of Higher Education Annual Conference, Washington, DC. Johnston, M. P. (2013, May). Moving beyond check-boxes: Researching multiraciality in changing contexts. Major Workshop presented at the National Conference on Race & Ethnicity (NCORE), New Orleans, LA. Johnston, M. P., & Yeung, F. PF. (2013, April). Campus racial climate and the Asian American experience: Differences across racial groups and after a racially-biased incident. Paper to be presented at the American Educational Research Association Annual Meeting, San Francisco, CA. Johnston, M. P., Pizzolato, J. E., Deleon, R. (2012, November). When the political becomes psychological: Disparate contextual influences on Asian American student development. Paper presented at the Association for the Study of Higher Education Annual Conference, Las Vegas, NV. Johnston, M. P. (2012, June). Eugenics and higher education: Exposing the historical roots and contemporary manifestations of a persistent ideology. Workshop presented at the National Conference on Race and Ethnicity in American Higher Education (NCORE), New York, NY. Johnston, M. P. (2012, April). Race as both biologically and socially constructed: Exploring the nature of college students’ racial conceptions. Paper presented at the American Educational Research Association Annual Meeting, Vancouver, BC, Canada. Kasch, D., & Johnston, M. P. (2012, April). Everyday racism and the ubiquity of social media: An examination of cyber-microaggressions on college campuses. Paper presented at the American Educational Research Association Annual Meeting, Vancouver, BC, Canada. Johnston, M. P., & Chaudhari, P. (2010, March). Beyond multiracial 101: Innovating multiracial theory, research, and professional practice. Workshop presented at the American College Personnel Association Annual Convention, Boston, MA. Johnston, M. P., Xayaphanh, D., & Ousley, M. (2008, March). Navigating the model minority myth: Student success programs for Asian/Pacific Islanders. Sponsored workshop presented at the National Association of Student Personnel Administrators Annual Conference, Boston, MA. Johnston-Guerrero, M. P., & Chaudhari, P. (in press). “Everyone is just mixed to me”: Exploring the role of multiraciality in college students’ racial claims. Equity & Excellence in Education. Johnston-Guerrero, M. P. & Pizzolato, J. E. (in press). The utility of race and ethnicity in the multidimensional identities of Asian American college students. Journal of College Student Development. Johnston-Guerrero, M. P., & Renn, K. A. (forthcoming, 2016). Multiracial Americans in college. In K. O. Korgen (Ed. ), Race policy and Multiracial Americans. Bristol, UK: Policy Press. Johnston, M. P., Pizzolato, J. E., & Kanny, M. A. (2015). Examining the significance of "race" in college students' identity within a "post-racial" era. Journal of College Student Development, 56(3), 227-242. Yeung, F. PF., & Johnston, M. P. (2014). Investigating the impact of racially-biased incidents on culture and climate indicators across targeted and non-targeted groups. Journal of Diversity in Higher Education, 7(4), 252-264. Johnston, M. P. (2014). The concept of race on campus: Exploring the nature of college students’ racial conceptions. Journal of College Student Development, 55(3), 225-242. Johnston, M. P., & Yeung, F. PF. (2014). Asian Americans and campus climate: Investigating group differences around a racial incident. Journal of Student Affairs Research & Practice, 51(2), 142-155. Johnston, M. P., Ozaki, C. C., Pizzolato, J. E., & Chaudhari, P. (2014). Which box(es) do I check? Investigating college students’ meanings behind racial identification. Journal of Student Affairs Research & Practice, 51(1), 56-68. Herrera, F. A., Garibay, J. C., Garcia, G. A., & Johnston, M. P. (2013). Documenting attitudes toward the undocumented: A multi-level analysis of student views on denying undocumented immigrants access to public education. The Review of Higher Education, 36(4), 513-549. Pizzolato, J. E., Nguyen, T-L. K., Johnston, M. P., Wang, S. (2012). Understanding context: Cultural, relational, and psychological interactions in self-authorship development. Journal of College Student Development, 53(5), 656-679. Garcia, G. A., Johnston, M. P., Garibay, J. C., Herrera, F. A., Giraldo, L. G. (2011). When parties become racialized: Deconstructing racially themed parties. Journal of Student Affairs Research and Practice, 48(1), 5-21. Johnston, M. P., & Nadal, K. L. (2010). Multiracial microaggressions: Exposing monoracism in everyday life and clinical practice. In D. W. Sue (Ed. ), Microaggressions and Marginality: Manifestation, Dynamics and Impact (pp. 123-144). New York: Wiley & Sons. Nadal, K. L., Pituc, S., Johnston, M. P., & Esparrago, T. (2010). Overcoming the model minority myth: Experiences of Filipino American graduate students. Journal of College Student Development, 51(6), 694-706. Ozaki, C. C., & Johnston, M. P. (2008). The space in between: Issues for student organizations and advising. In K. A. Renn & P. Shang (Eds.) Biracial and multiracial college students. New Directions for Student Services, 123. San Francisco: Jossey-Bass.